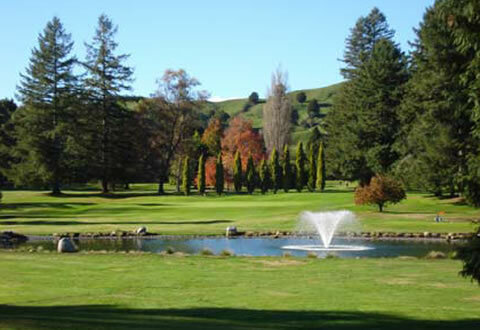 Welcome to the ninth hole of the Tarrangower Golf Course called ‘Hikurangi’. A dog leg right over water for direct approach. Raised green fringed by conifers.